Pete Carroll has made clear reviving Seattle's running game is job one for the offense this season. Ground Chuck refers to former Seahawks coach Chuck Knox, who in showing how reputations can sometimes mask realities, coached two Seattle teams that still rank among the top four in single-season touchdown passes. Carroll, likewise, isn’t planning to completely forsake the pass, as the signing of Brandon Marshall this week makes clear (sure, he may be a decent run blocker, but that’s not the primary reason he’s being brought in). 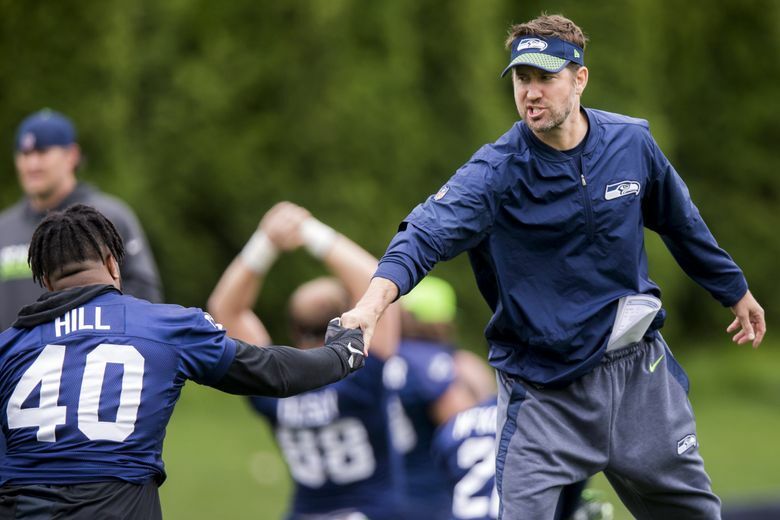 New Seahawks OC Brian Schottenheimer meets the media this week.